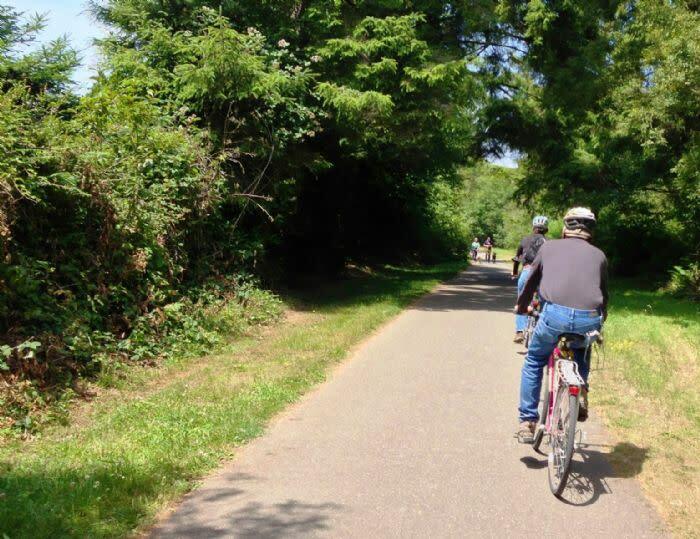 "Best place to walk, jog, or bike." This 5-plus mile hiking/biking/equestrian component of the California Coastal Trail stretches from the Arcata Bottoms northward to Clam Beach County Park in McKinleyville. 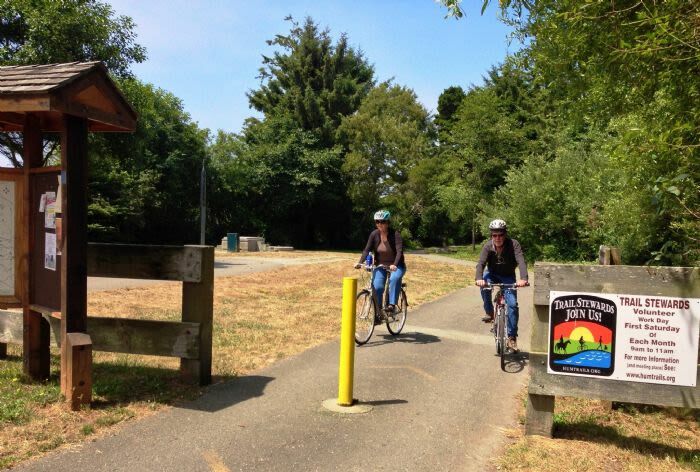 The trail has been voted "best place to walk, jog, or bike" in Humboldt County in a poll taken by the Times-Standard newspaper. If you want to take a bike ride in Humboldt County, this is the place! Beginning in Arcata Bottoms - Mad River pedestrian bridge, the southern-most section of trail holds some good views of the ocean and excellent views of the Mad River. 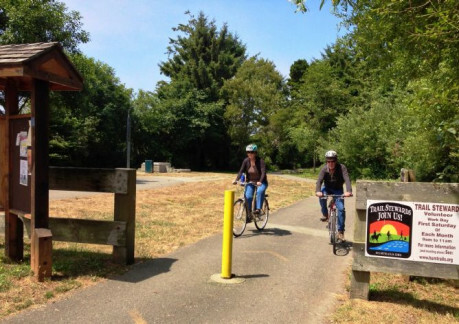 This trail section runs from the Mad River Bridge to Widow White Creek in McKinleyville, where there is a small store, north of the bridge at the School Road, here you can buy drinks and picnic supplies. Continuing north - Hiller Park offers restrooms, picnic areas, playground, sports fields and its own network of coastal meadow and forest trails. As the trail continues north to Clam Beach, the views of the ocean and Trinidad Head are excellent, as is the beach access. 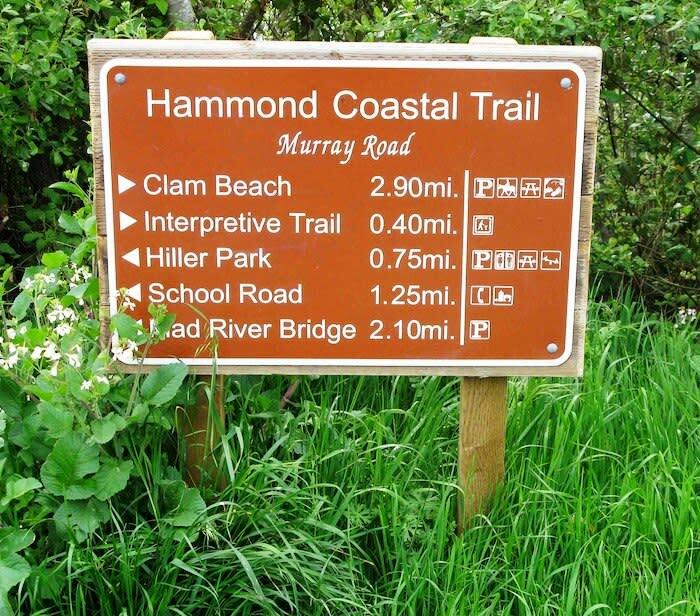 The trail travels from high bluff overlooking the sea down to Clam Beach. The Hammond Trail Bridge has long been a part of McKinleyville's history. 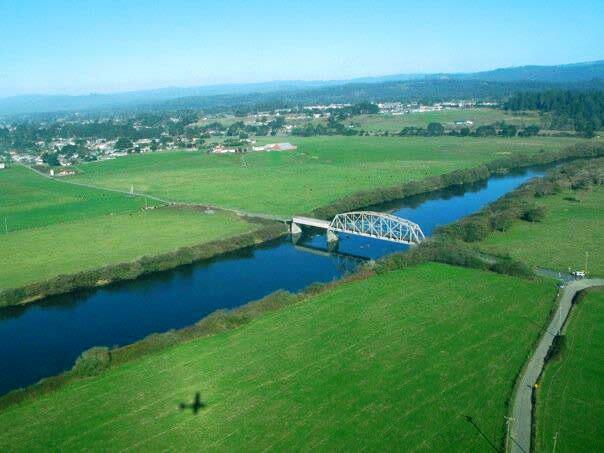 The original bridge on this site was a wooden covered bridge that was built in 1905 - a part of the Humboldt Northern Railway which ran from Humboldt Bay's North Spit to Fieldbrook. The covered bridge remained in use until 1942, yet the bridge continued to be used as a railroad bridge until 1961.